This hop is organized by I am a Reader, not a Writer. Over 250 participating blogs are offering a book related giveaway and we are all linked up together so you can easily hop from one giveaway to another. The hop runs from Thursday, March 17th to Sunday, March 20th. There is a linky at the end of this post. Don't forget to visit the other blogs to win nice prizes! WIN IT: One winner will receive a $5 Amazon GC. - Follow my blog publicly on GFC. - Follow me on Twitter and leave your @user name, and/or profile link. - Add me as a friend on Facebook and leave your name, and/or profile link. - "Like" Sweepstake Lover on Facebook and leave your name, and/or profile link. The contest will end on March 20, 2011 at midnight (Turkish time / EET). Open WORLDWIDE. Winner will be chosen by random.org and notified via e-mail. The winner must respond within 48 hours or another one will be chosen. * I am the sponsor of this giveaway. I will send you the GC code via e-mail. 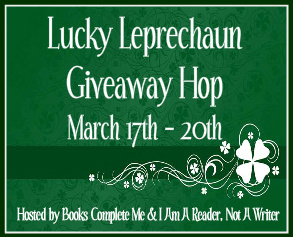 Here is the linky for more Lucky Leprechaun Giveaway Hop blogs! GFC follower and thanks for the giveaway! I added you as a friend on Facebook.Name is Stacie Amelotte. I "Liked" Sweepstake Lover on Facebook. 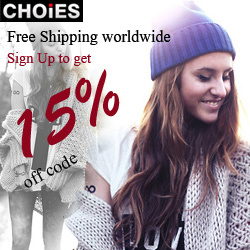 Looks like a cool site. Thanks for the link. I am a new GFC follower. Thanks for the giveaway! Happy St. Patty's Day. Following :). I follow you on Twitter (@mikkimano). I'm your friend on facebook (my name is Mikki Manó). I liked your site on facebook (name's Mikki Manó). I have "Liked" you on Facebook under the name Aprille Shadowspeak. Thanks for the giveaway! I follower on GFC. Yep I'm a GFC follower. I follow on GFC (Karen), thanks! Thanks for the giveaway and for participating in this blog hop! I'm a new follower via GFC (Bornajhawk). Sent FB friend request (Laura G. Henderson). Ty for the chance to win a GC! friend on facebook Sherry P.
Liked sweepstake lover on facebook. Sherry P.